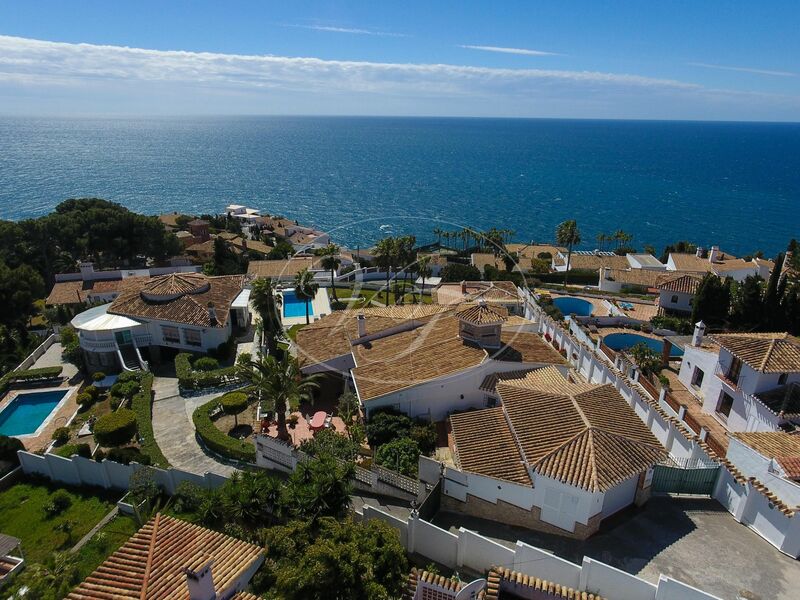 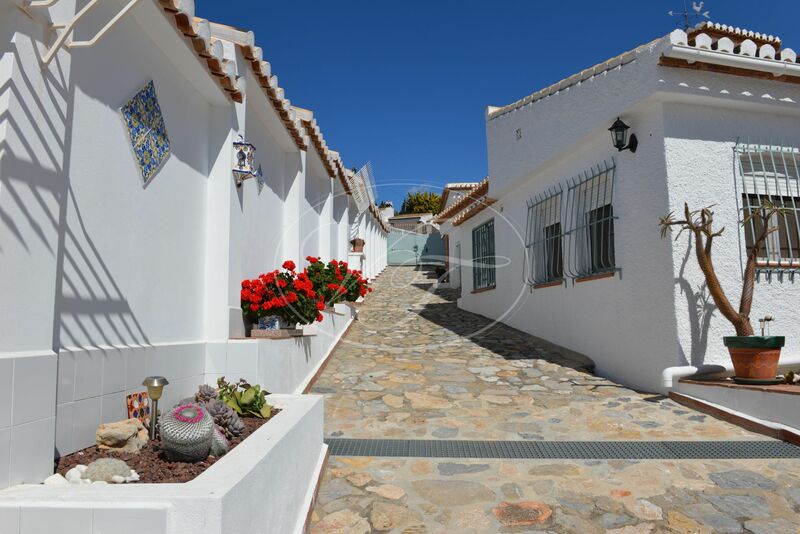 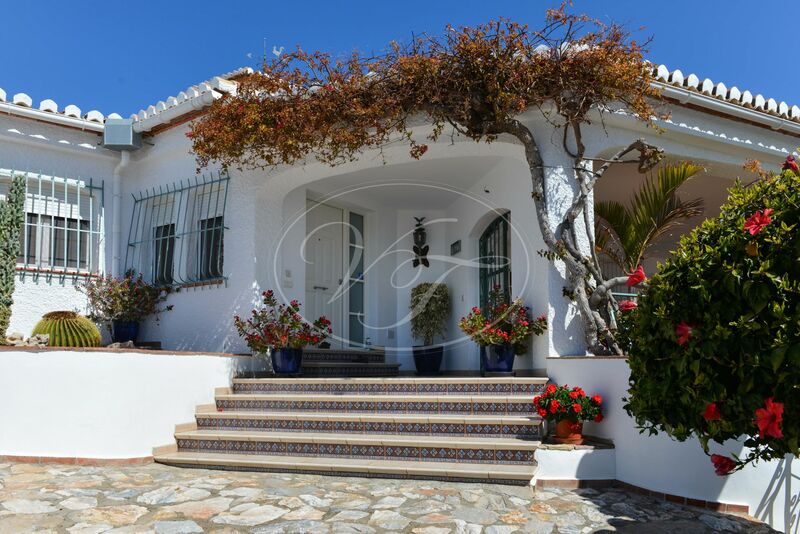 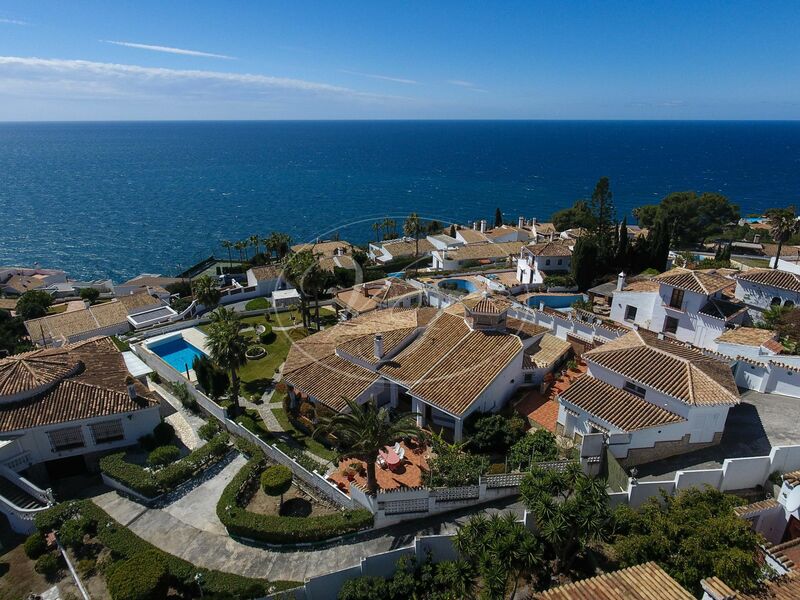 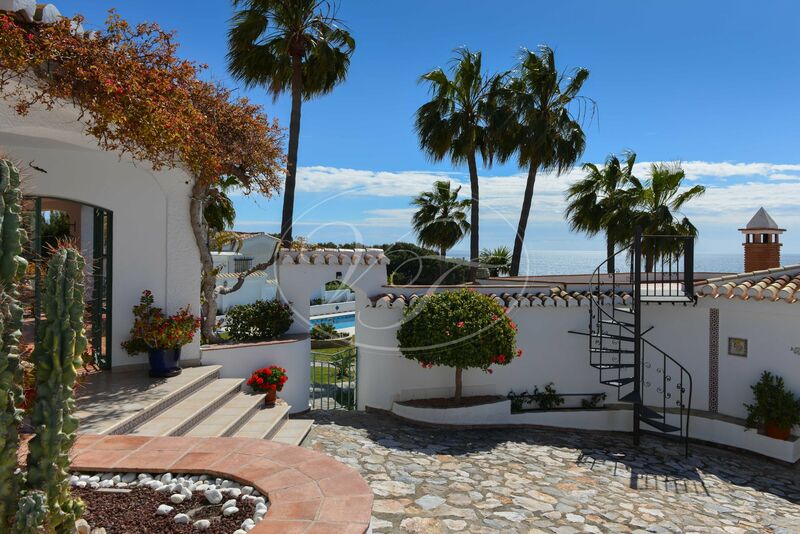 An exceptional villa with panoramical sea views, located in the famous urbanization La Punta de la Mona, in the village of La Herradura, Almuñecar, Andalusia. 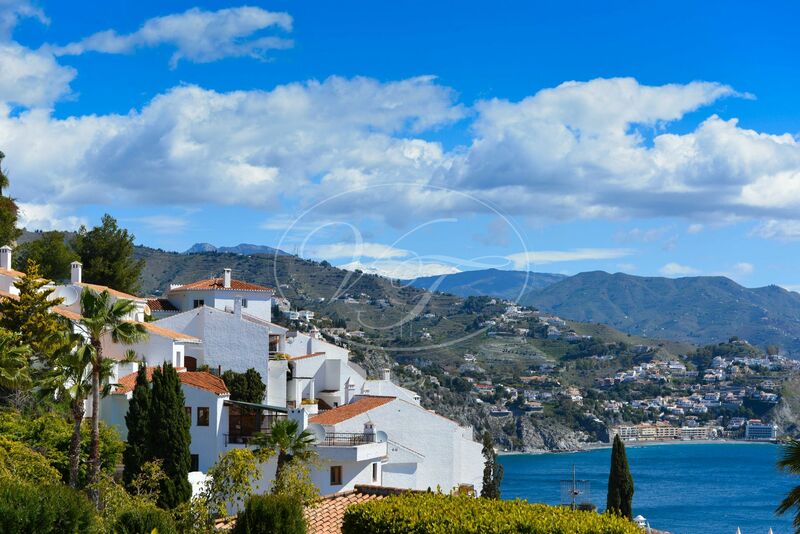 The area is called Costa Tropical, on the Alborán Sea, The Mediterranean. 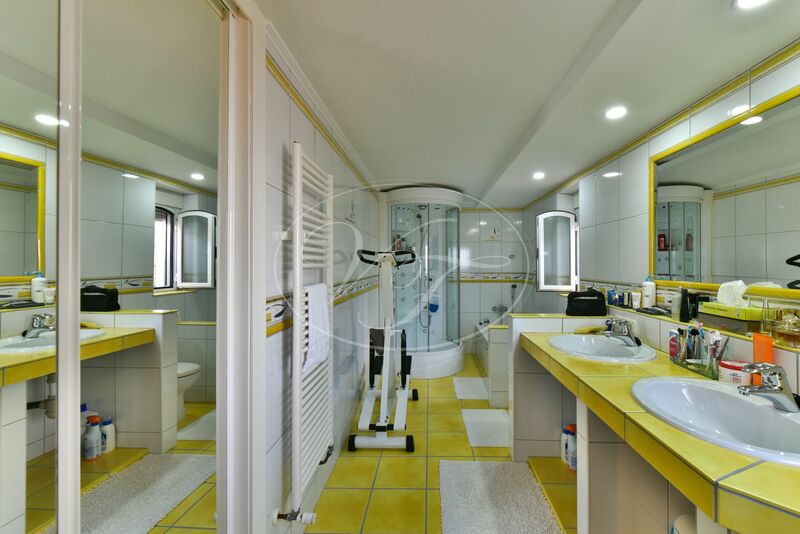 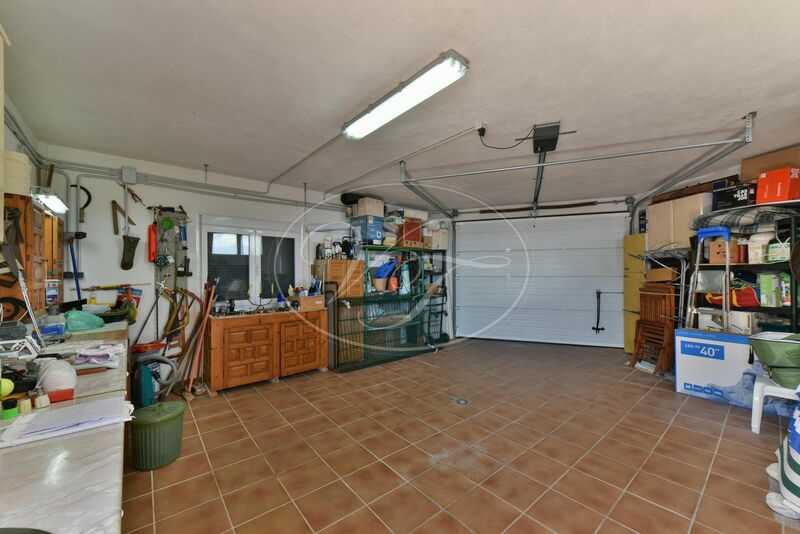 The property consisting of a spacious 50 m2 garage, with workshop area, a 220m2 main house with a large covered terrace (110m2), and a 50 m2 guesthouse with a covered kitchen bar area and toilet with shower. 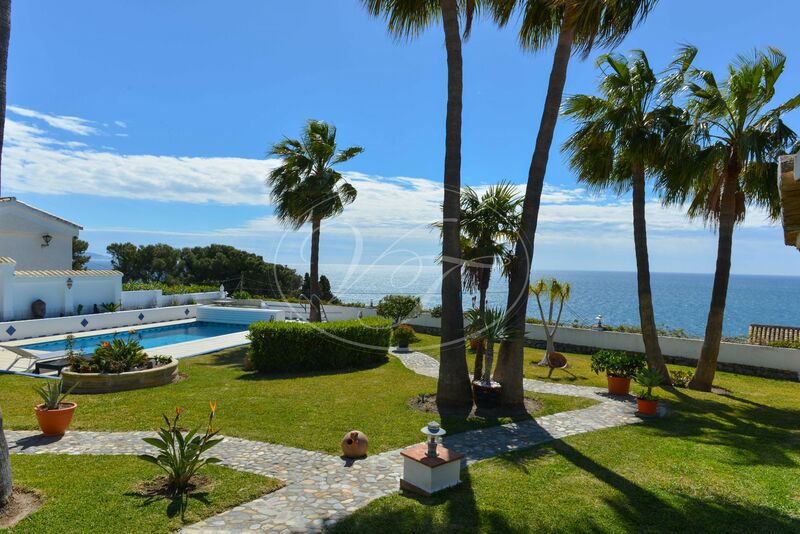 The large private walled plot of land of 1500m2, with a mature and lawned garden, overlooking the sea and offering breathtaking sea views. 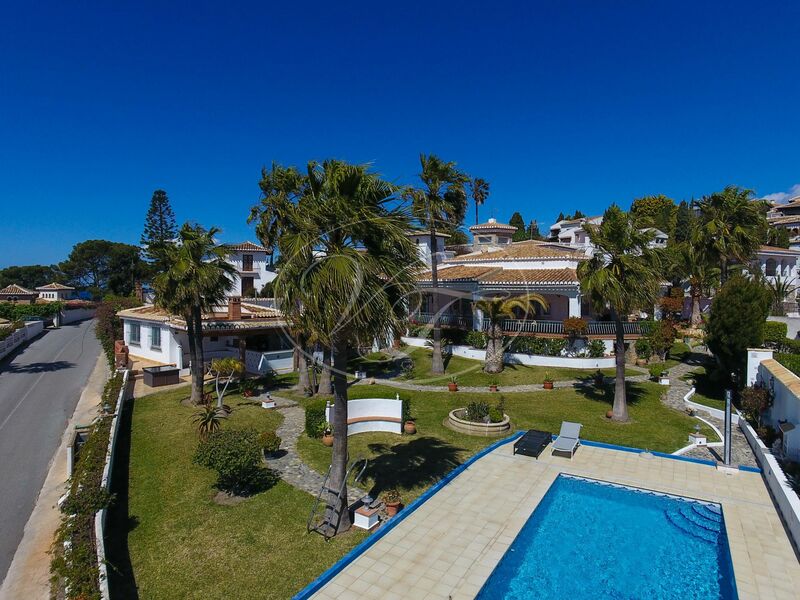 A paradise lifestyle near the beach. 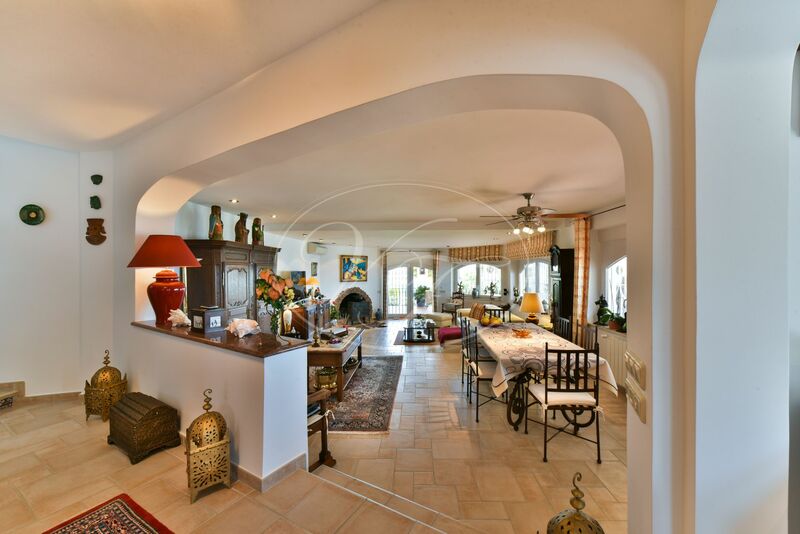 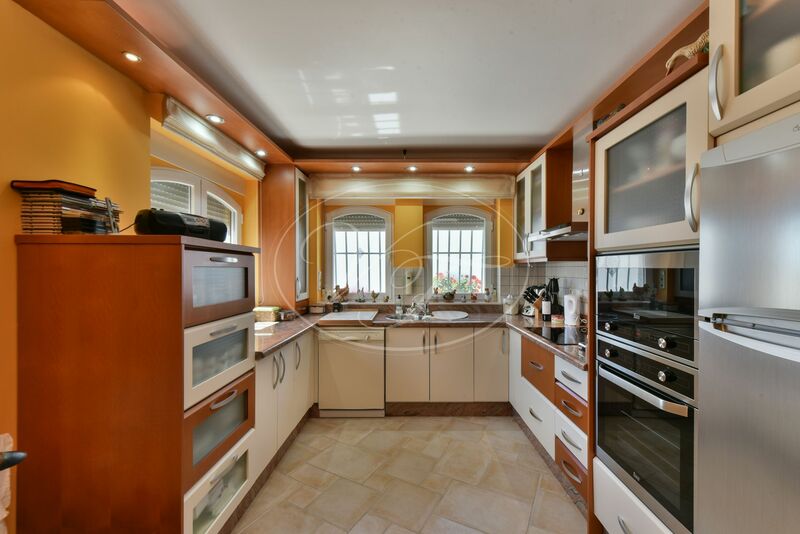 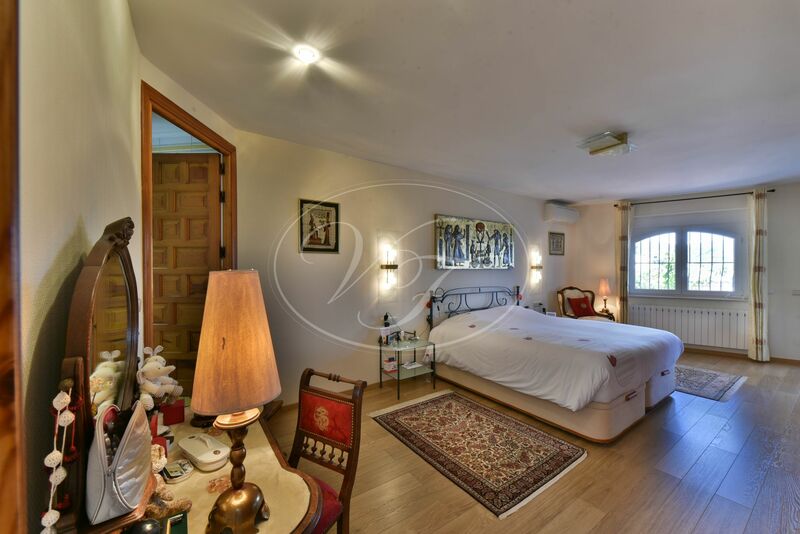 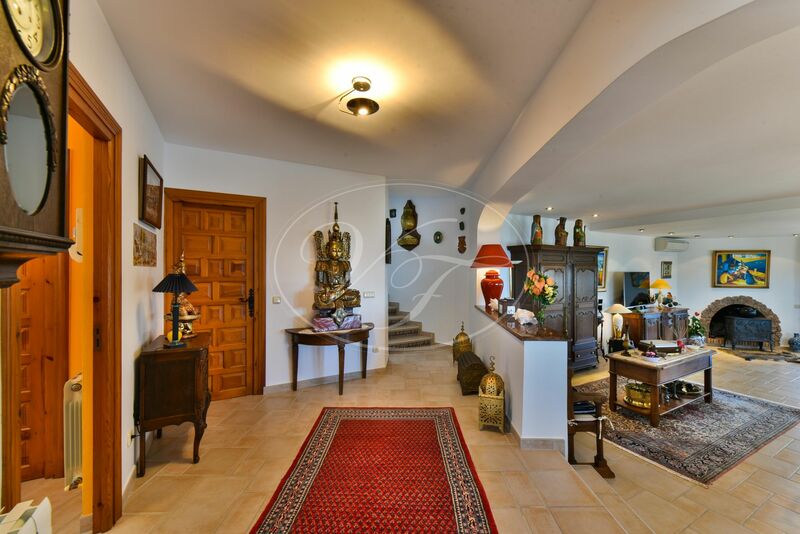 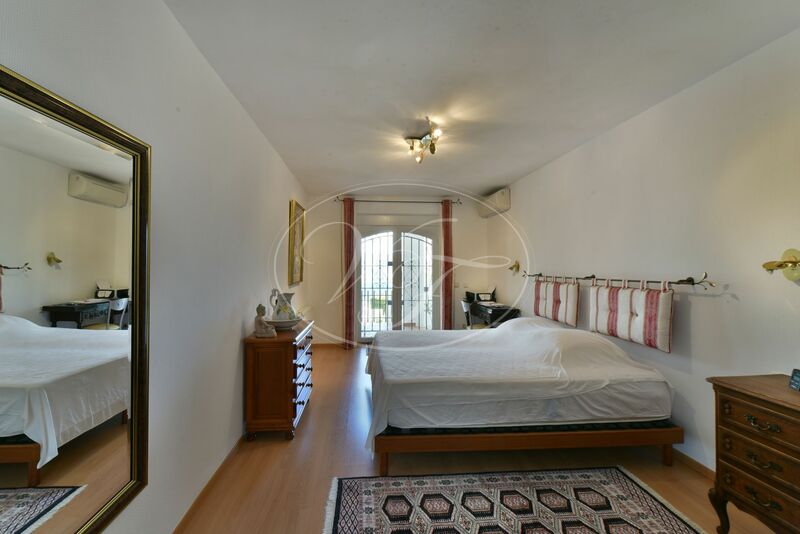 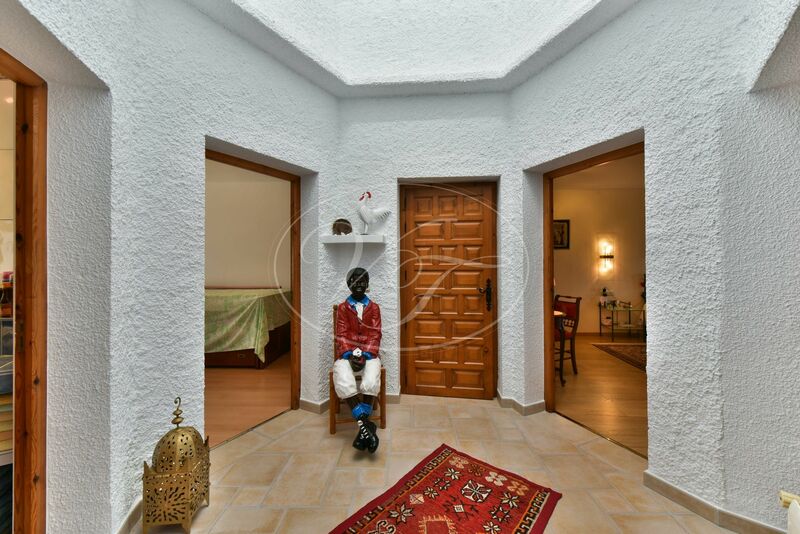 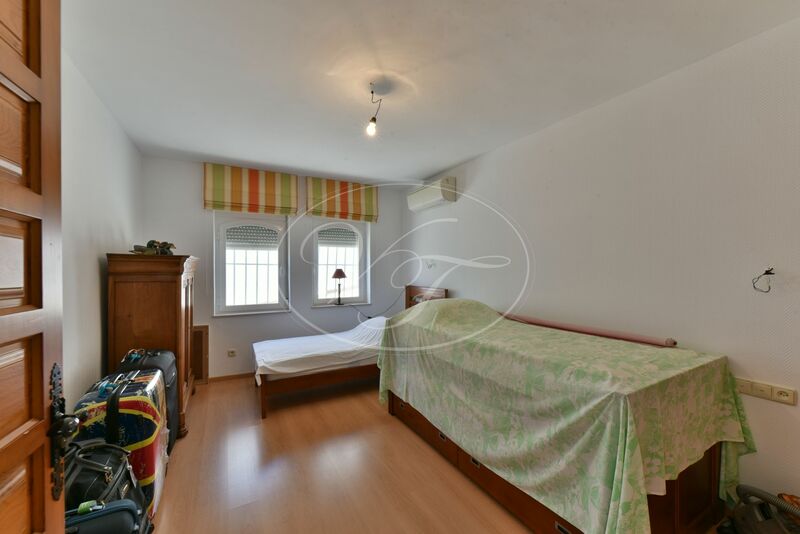 This property consists of the main house, characterized by a central hexagonal shaped tower giving it its name (TORREJON) and surrounded with a covered terrace facing east and south of 110 sqm. 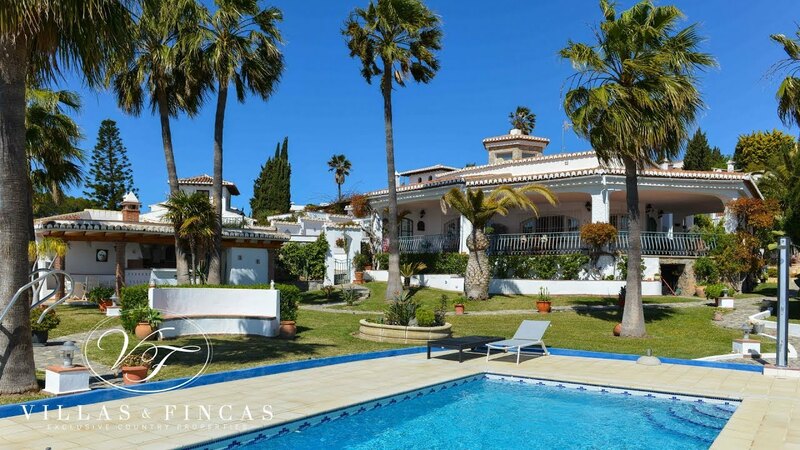 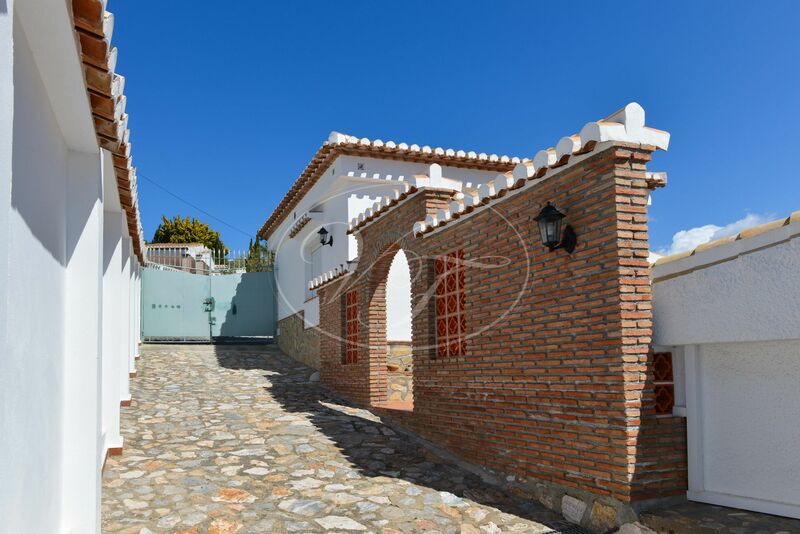 This Andalusian style villa, completely restored in 2005, with double glazed windows and doors, electric shutters, open fire, central gas heating, and air conditioning in all rooms. 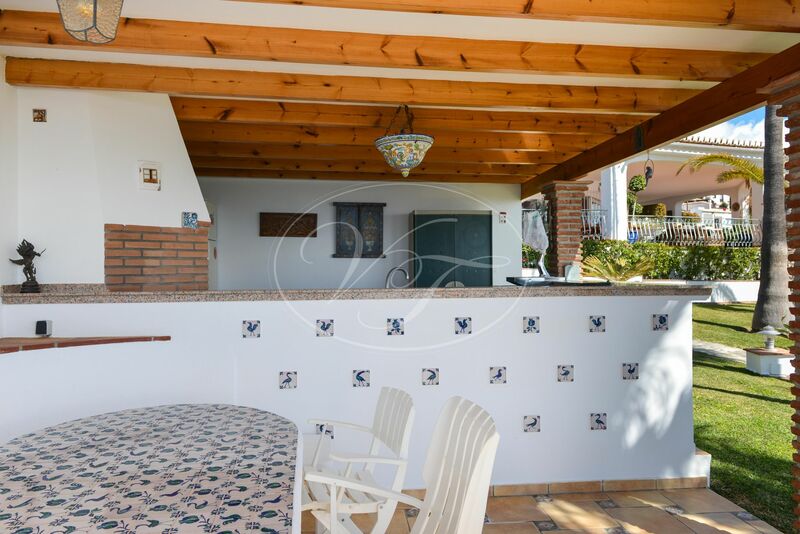 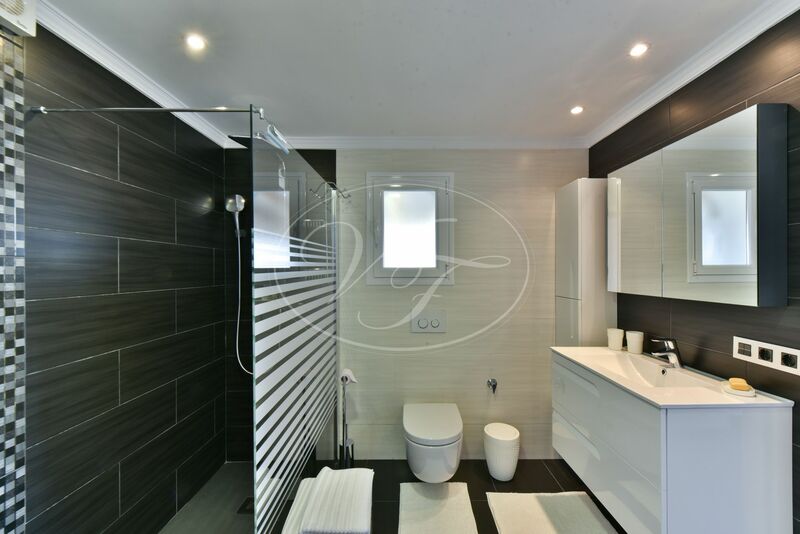 In total three bedrooms, two bathrooms, a large living room with sea views, fully fitted kitchen. 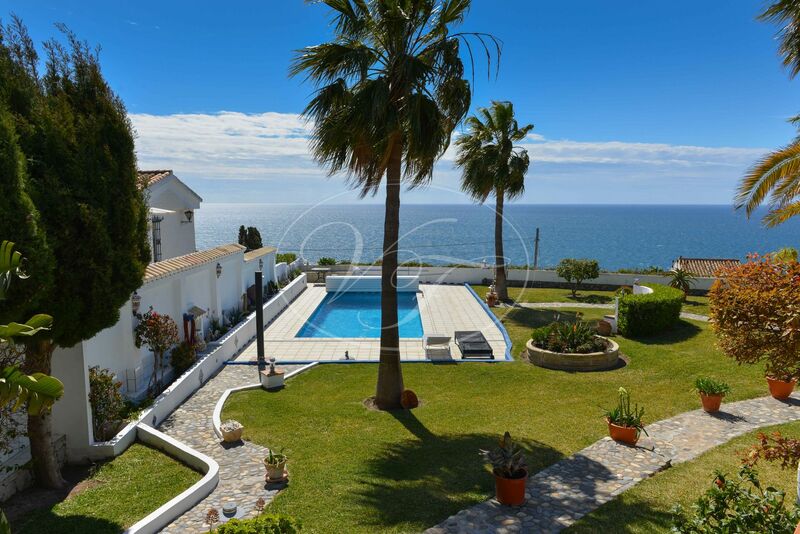 There are also sea views of the two main bedrooms directly overlooking the terrace. 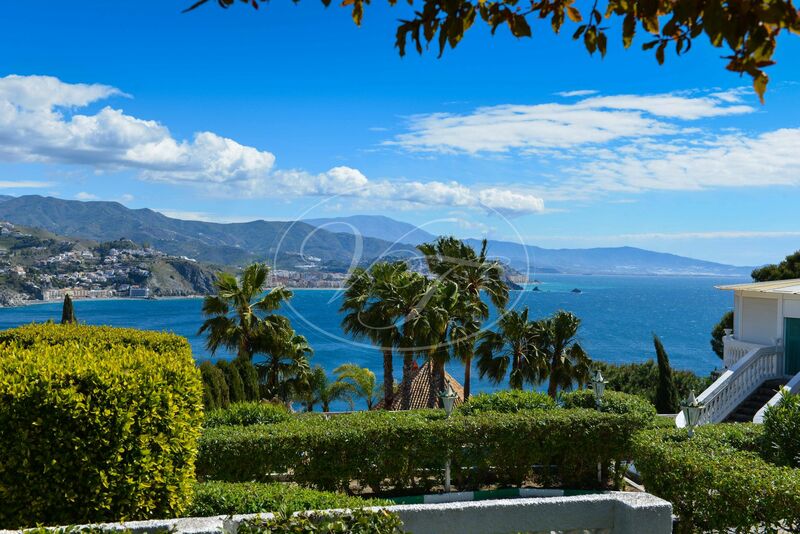 Curious to mention, besides the sea views, you can see the top of the Sierra Nevada in Granada, covered in snow in winter. 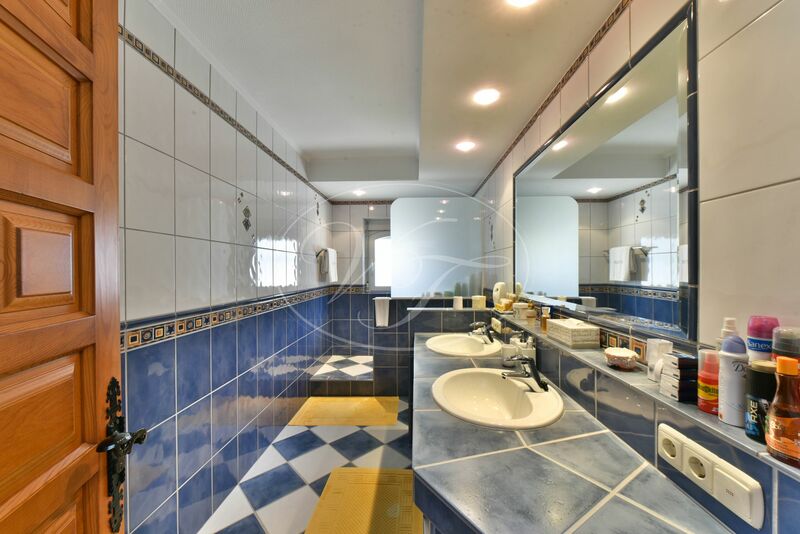 Ski pistes only at a 1,5 hr drive! 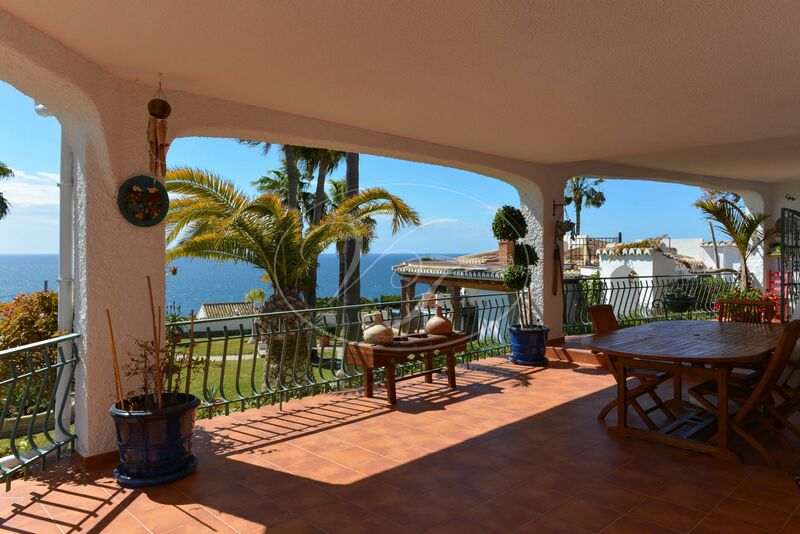 Detached guest house with sea views of 50 m2, with open plan living room and fully fitted kitchen, spacious bedroom and bathroom. 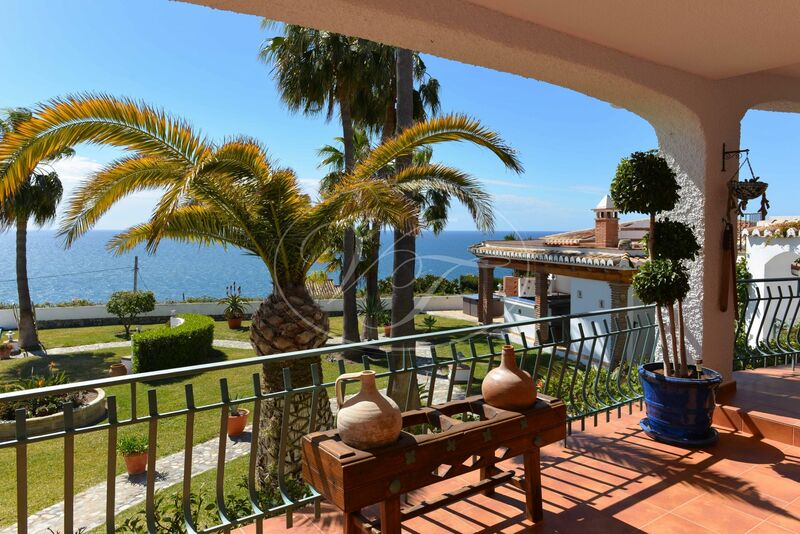 On the roof, there is a large terrace with stunning views of the sea and garden. 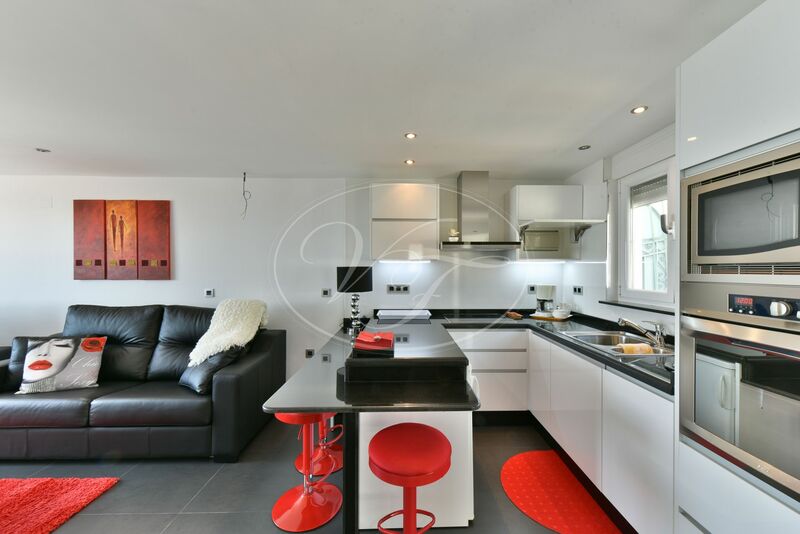 On garden level a bar, outdoor equipped kitchen, and an outdoor bathroom and toilet. 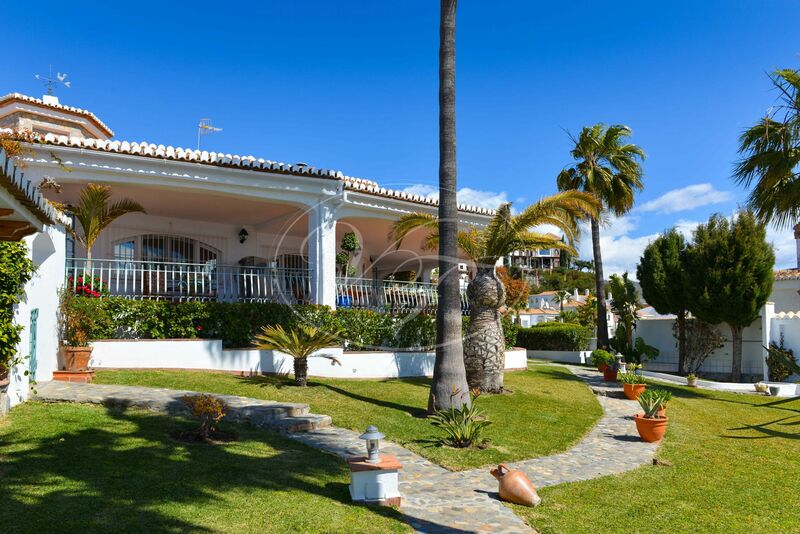 In the large lawned garden with palm trees is a 9×4 meter pool with cover. 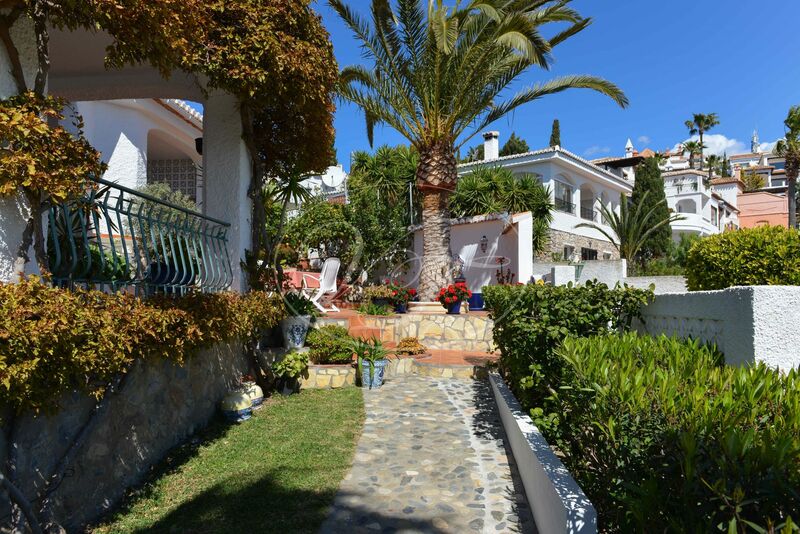 The garden has an automatic watering system. 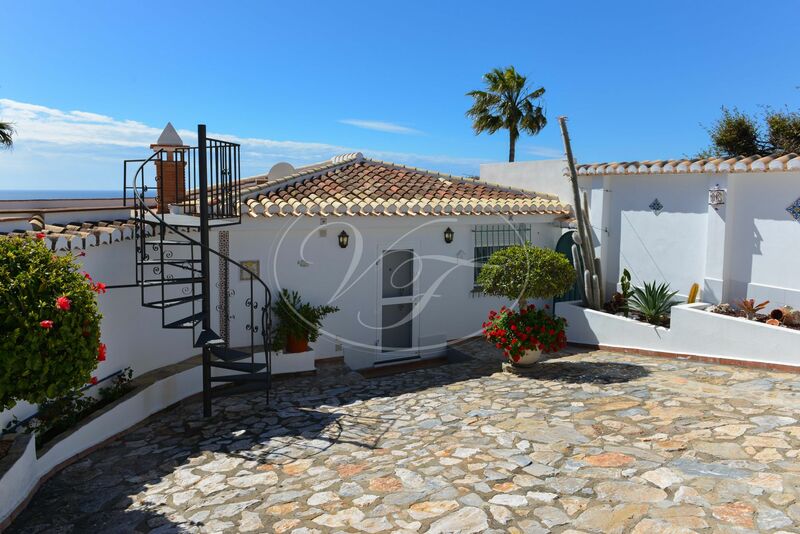 The property was completely renovated in 2005, recently the roof has been entirely reformed, and everything is currently in a mint condition. 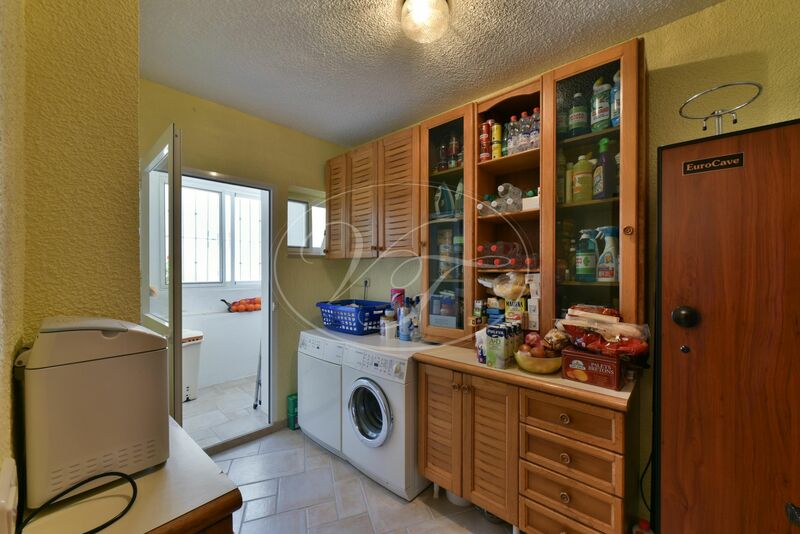 Ready to move in. 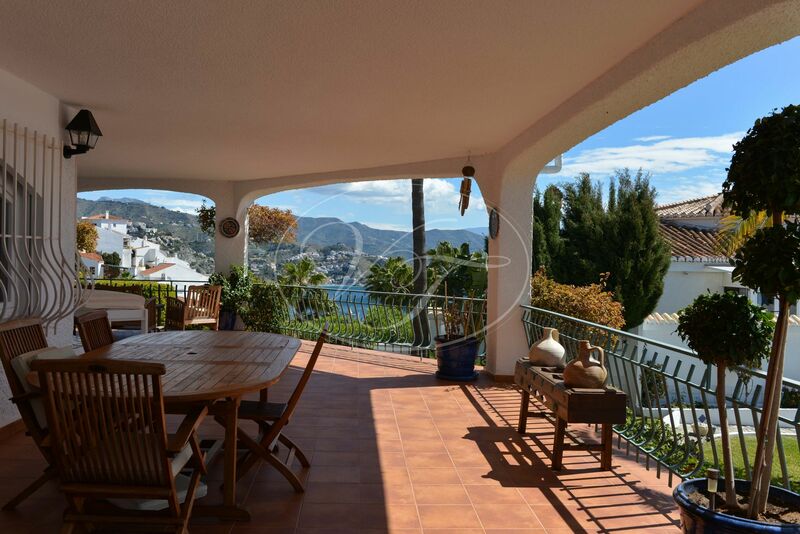 The property is situated between the beach and on the other side of the mountain the harbour, Marina del Este. 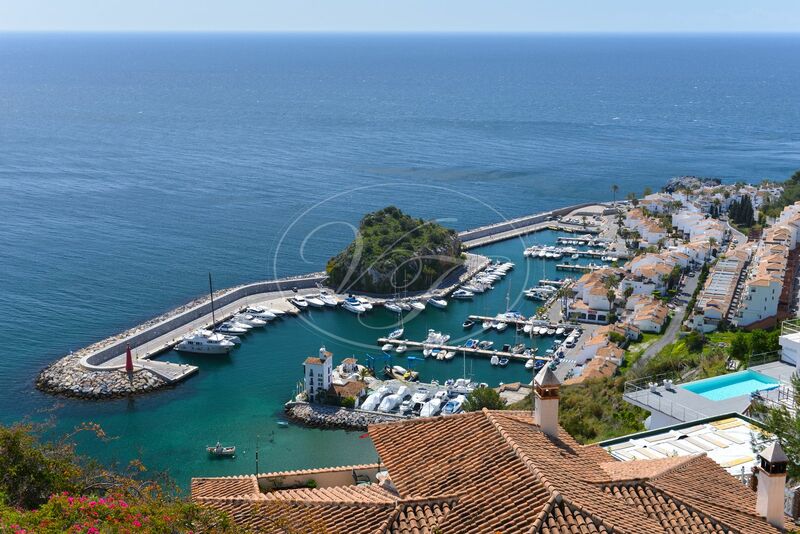 The beach and the harbour are offering a variety of excellent restaurants and shops. 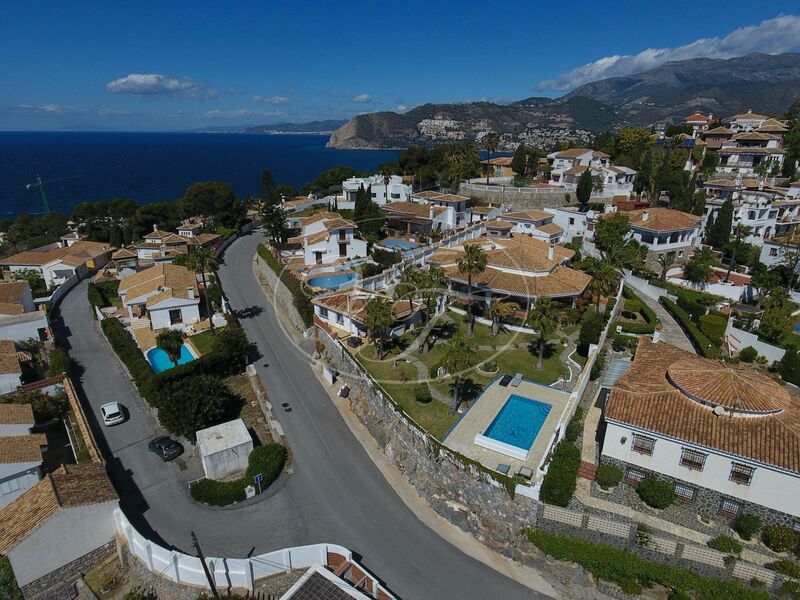 Malaga airport is 1-hour driving, and also close to the villages of Almuñécar, Nerja, Motril, Granada. 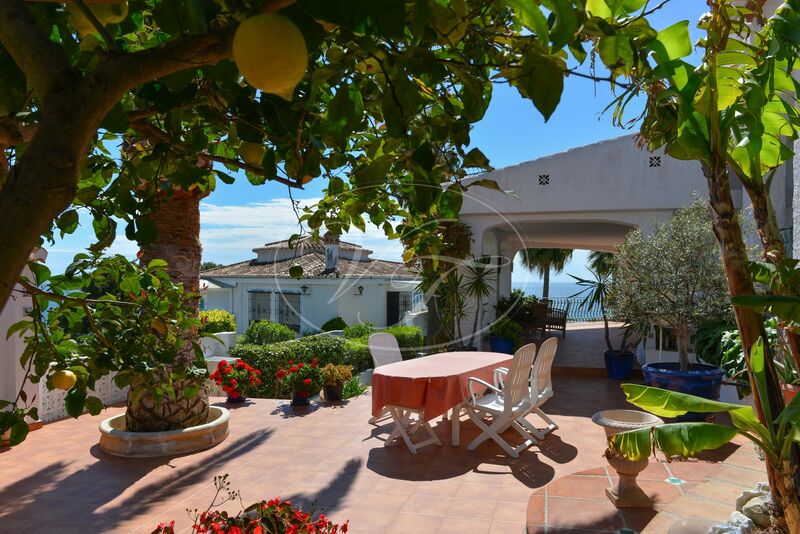 Please, send more information about ref 186-00748P, Villa in La Herradura, Almuñecar or similar properties.